According to sources, the international coalition that has been spearheading the fight against the pirates drew up contingency plans in the summer of 2010, and again last year, for what was termed "over the beach" air strikes against Somali camps. It is believed the British, Dutch, French and Americans would be the most likely to support military action, if the need arose. The US is already taking great interest in Somalia and has begun missile strikes from unmanned drones against members of al-Shabaab, which is said to have growing links with al-Qaida affiliates in other countries, and is attempting to "export" violence to other countries in Africa. The group claimed responsibility for twin bombings in Uganda two years ago that killed 74 people as they were watching coverage of the World Cup in South Africa. In recent months statements said to have come from the group's leaders have proclaimed greater links with al-Qaida's goals of global jihad. Up to 200 foreigners, including 40 Britons, are know to have travelled to Somalia in the past six years seeking al-Shabaab's training camps, in the same way that extremists went to Afghanistan and Pakistan in the 1990s. Some have been caught and are facing trial in the region, but intelligence agencies say it is only a matter of time before one of them attempts to bring terror back to their homeland. 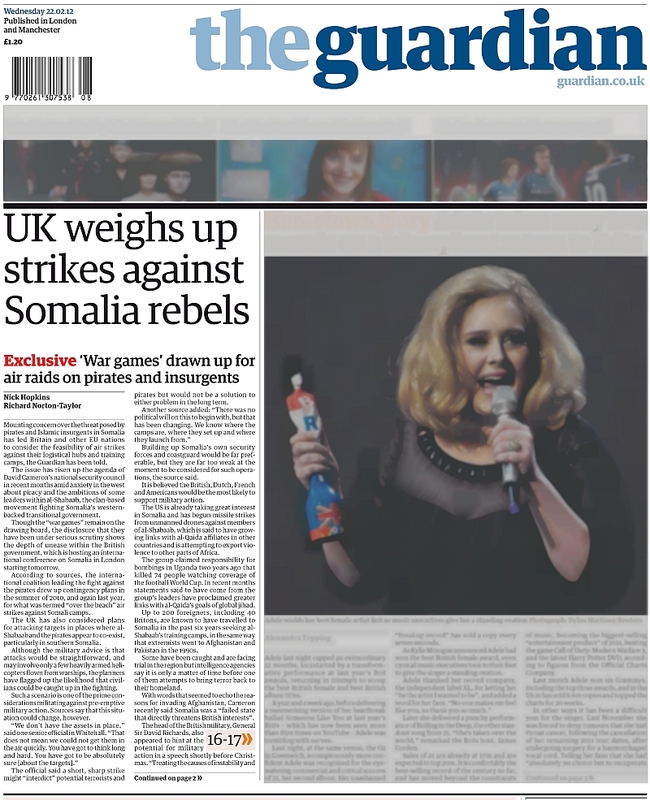 With words that seemed to echo the reasons for invading Afghanistan, Cameron recently said that Somalia was a "failed state that directly threatens British interests". The head of the British military, General Sir David Richards, also appeared to hint at the potential for military action in a speech shortly before Christmas. "Treating the causes of instability and terrorism at source is better and cheaper than dealing with the consequences, as Somalia's piracy demonstrates," he said. 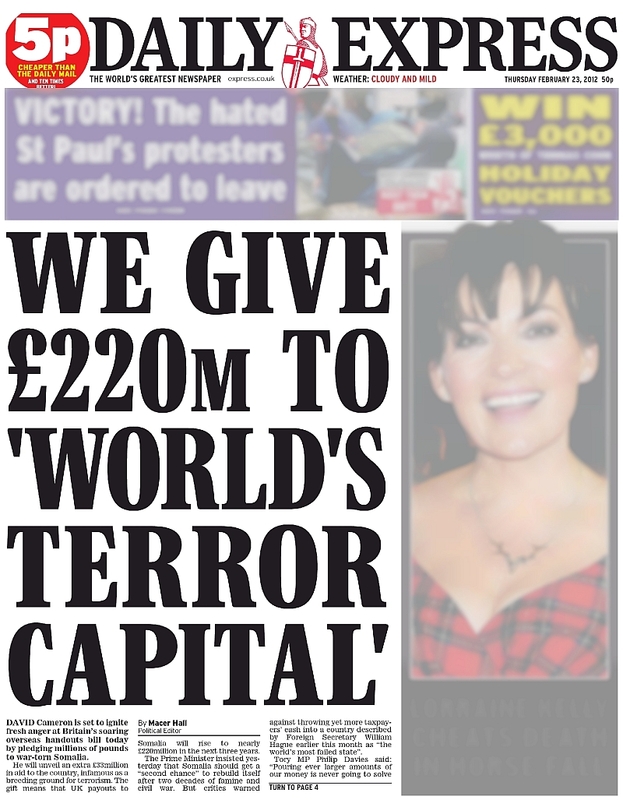 David Cameron is set to ignite fresh anger at Britain’s soaring overseas handouts bill today by pledging millions to war-torn Somalia. 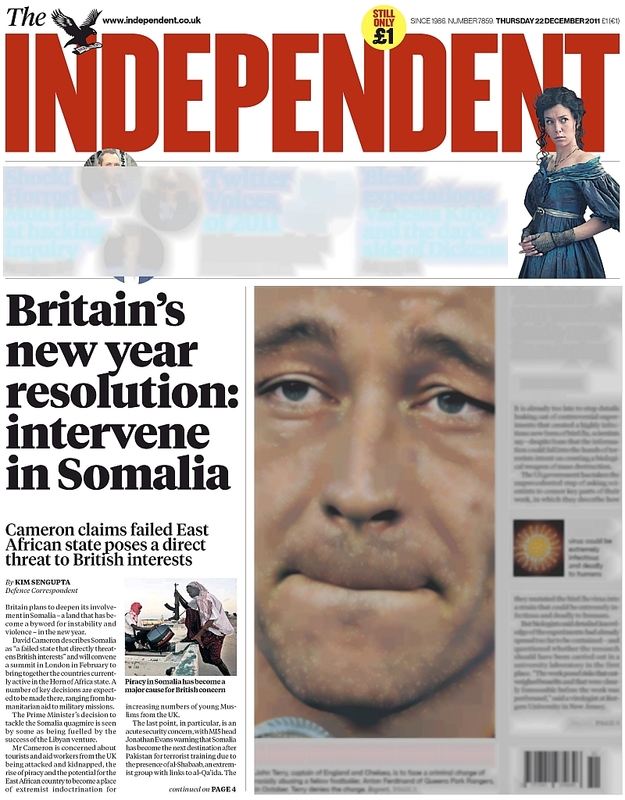 Cameron claims failed East African state poses a direct threat to British interests.